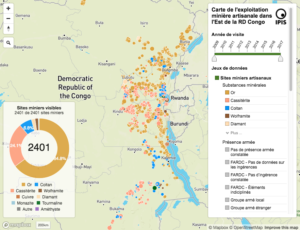 On the upgraded interactive webmap, IPIS provides information about the on-site presence of armed groups and the Congolese army (FARDC) as well as indicators of the relative importance of the site. It also shows whether mining sites have been ‘validated’ (licensed to operate) by the Congolese government or if they are covered by supply chain control mechanisms. Furthermore, the map reveals information on the use of mercury, trade routes and artisanal mining’s overlap with industrial mine concessions. 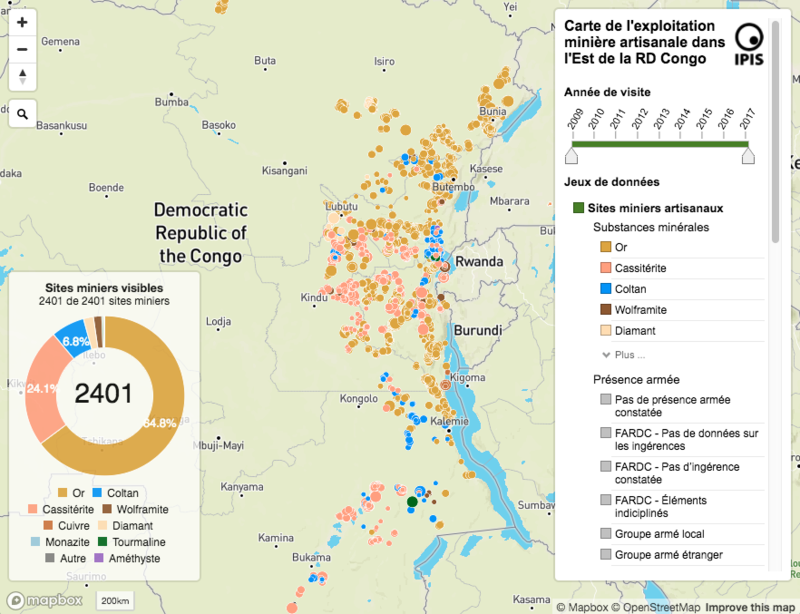 On the updated webmap, IPIS also displays 840 roadblocks in conflict-ridden North and South Kivu. In a recent report, IPIS has uncovered roadblocks as a key mechanism of conflict funding besides natural resources. Minerals, agricultural produce, charcoal, timber…. basically everything that moves is taxed both by armed groups and undisciplined Congolese army units. IPIS’ new research, in collaboration with the Danish Institute for International Studies (DIIS), sheds new and crucial light on how roadblocks provide an additional and substantial revenue stream for armed groups in Central Africa. The map is an invaluable resource for local, national, regional and international policymakers to guide them in developing and implementing policy initiatives to tackle the issue of conflict financing. Companies, in particular mineral traders and refiners, will find the map a useful tool for conducting due diligence on their supply chains in their efforts to assess actual and potential risks in their current operations. The map also shows unexploited, conflict-free areas that might be eligible for sourcing.That said, the map is not a substitute for a company’s responsibility to conduct its own verification of the conditions in the mining areas it sources from. 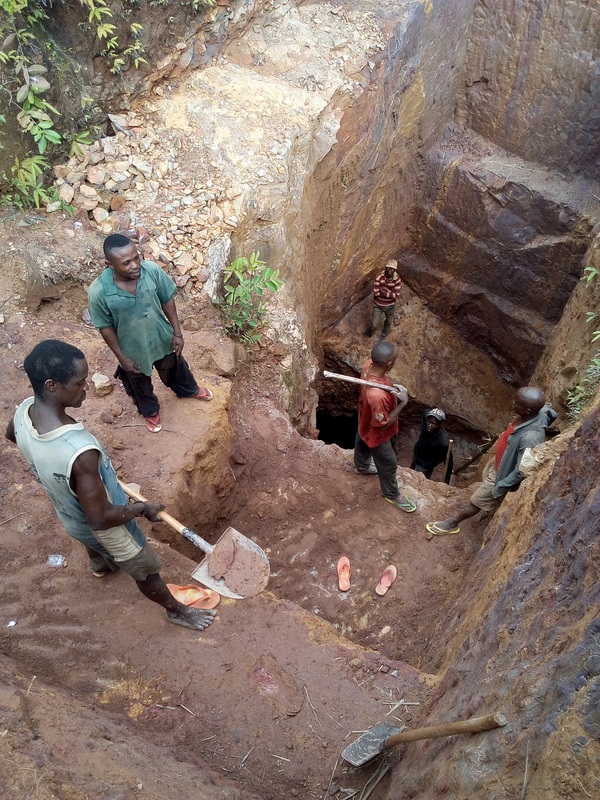 Finally, researchers, campaigners and other observers will find the map a useful tool for monitoring the performance of both mineral traders and policy makers when dealing with the issue of mineral trade and conflict financing in eastern DRC. Later this year, an updated analysis report will be published on the most recent artisanal mining site data published through this interactive map. As new data is continously collected during ongoing projects, IPIS will also add this new data to the map over the next months, with minimal delay. The webmap has been developed with the support of the International Organization for Migration-IOM in the DRC through the United States Agency for International Development-USAID funded Responsible Minerals Trade (RMT) project.